How do you determine that your leaders and their teams have the connectedness to deliver on strategy? IS THIS YOUR ORGANISATION'S TIPPING POINT? As industries face greater ethics scrutiny, there is a growing need for leaders to look beyond conventional training and development that narrowly focuses on individual capability. The future demands sustainable solutions that can only come from collective problem-solving. One that achieves long-term impact and not merely short-term, transactional gains. Yet, in a digitally connected landscape, connectedness cannot be assumed. Kwan is an international management consultancy that helps organisations and executives remain top of mind in the relationships most important to them. Founded in 2002 by Jon Burgess, Kwan has pioneered a revolutionary, simple approach to advocacy and relationship management, helping organisations drive their strategy forward. With this arena being largely unaddressed in business strategies and executive development, Kwan tackles a critical blindspot within businesses via a high-thought/low-touch delivery model that supports clients’ operating rhythms. We help you transform the way your executives, senior leaders and frontline talent engage and collaborate with people – both internal and external stakeholders. Despite widespread recognition of the importance of relationships to business and personal success, the ability to remain top of mind in key relationships doesn’t sit with any function or team, or in any strategy or plan. The business world, on the whole, assumes the most powerful influencer of success will happen by default. Whether we are working with an organisation or an executive, we follow three stages – evaluate, enable and embed. Through these modules, we build people’s relationship building capability using a high-thought/low-touch approach that is time-smart and practically equips people for success. We tailor rollout programs to suit each client context and participant mix. This includes adapting the focus to address internal or external stakeholders, or a combination of both. We are driven by a clear purpose – that everyone matters. Over and again, we have seen clients add significant value to their bottom line, reshape their ability to connect and collaborate, and create momentum for lasting transformation, by merely making relationships a key focus of their business strategy. 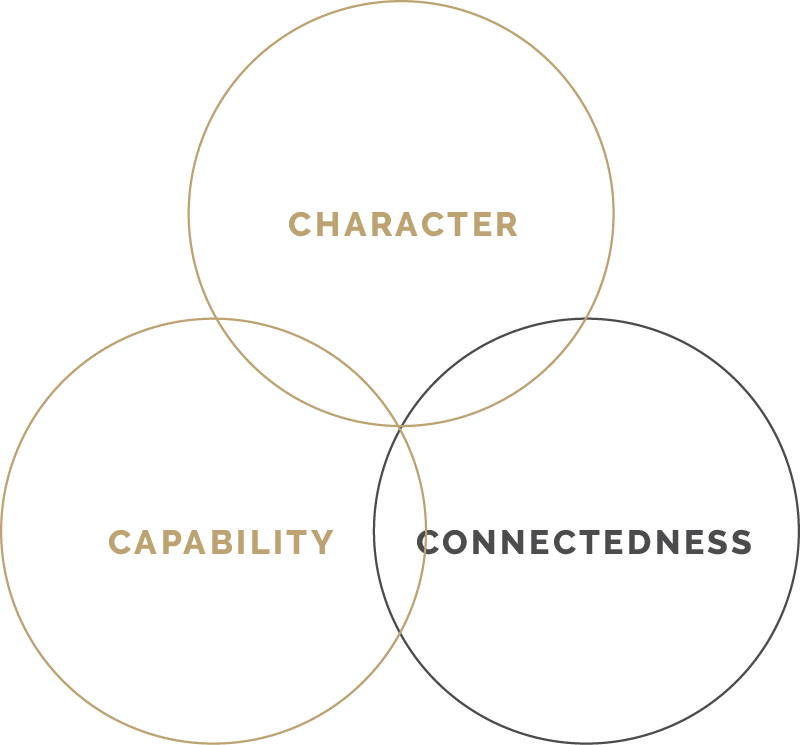 The norm in business is that leaders rigorously assess people for their character and capability, all while commonly assuming those people have the connectedness to create and sustain effective and authentic relationships. That’s where Kwan comes in. To learn more about how Kwan can support you and your organisation, drop us a note on our contact form. Alternatively, call +61 411 662 622 or email at jon@kwan.com.au.